The 21.5-inch ASUS VE228H mixes visual excitement with modern sophistication. 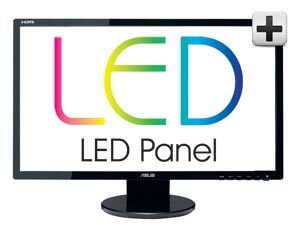 Powered by LED Backlighting technology, the VE228H delivers sharp, true-to-life images with ASUS Smart Contrast Ratio that dynamically adjusts the display's contrast ratio according to the image content up to an astonishing 10,000,000:1. 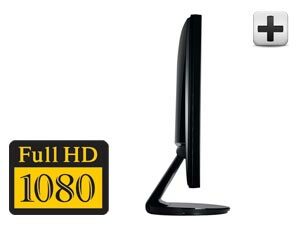 Full HD 1080p (1920 x 1080) support and HDMI port brings you into a spectacular world of colors in sharpest detail possible. And no matter what you are watching, you can enjoy true-to-life colors and visuals thanks to ASUS exclusive Splendid Video Intelligence technology. For ease of use, the VE228H features convenient key controls for functional set-up in the multi-language On Screen Display (OSD), and integrates hidden stereo speakers and cable manager for a clean look. Built with green in mind, the ASUS VE228H brings you stunning visual experience in a contemporary design using more materials. 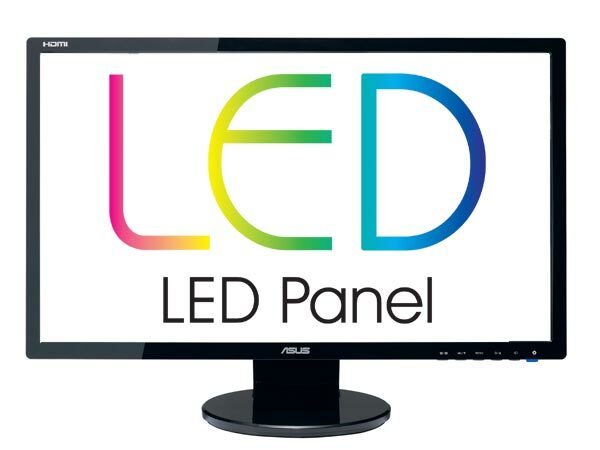 The 21.5-inch ASUS VE228H full HD LED-backlit monitor utilizes advanced light emitting diode (LED) backlight panels, providing superior images and eco-friendliness. Every pixel is brightened by its own dedicated LED, achieving a ten-million to one contrast ratio. With backlit LED, The ASUS VE228H delivers the deepest colors and the truest representations of white, black—and all shades in between. This LED monitor is also mercury-free, promoting a cleaner environment during manufacturing and recycling than traditional CCFL technology (Cold Cathode Florescent Lamps). LED technology also consumes 25% less power, reducing your carbon footprint (52 lbs reduction in CO2emissions, equivalent to: 1.9 trees planted, 37.2k Wh electricity saving vs conventional backlighting technology). Designed for the media-centric user, the stunning 21.5-inch ASUS VE228H display gives you full HD 1080p visuals in a compact, mountable design that's perfect for watching HD movies. With embedded HDMI cabling, you can seamlessly connect your PC to this pristine display and enjoy high-quality audio and video without the clutter. It has a quick 5ms response rate with Trace-Free technology that eliminates ghosting and smoothens movement for fast-moving images. The 10,000,000:1 contrast ratio with ASUS Smart Contrast Ratio technology (ASCR) dynamically fine-tunes between black and white to sharpen images for enhanced visuals. 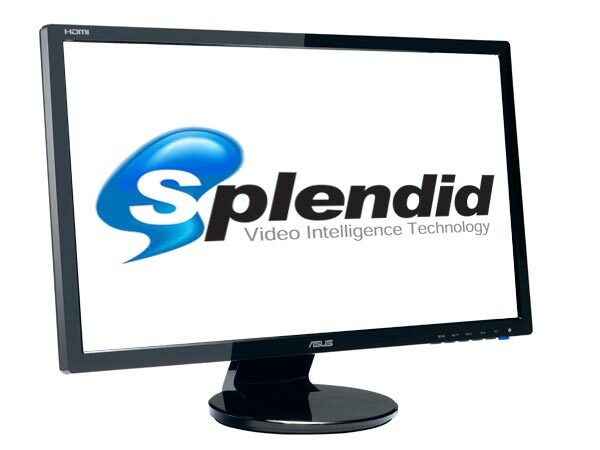 Exclusive SPLENDID Video Intelligence Technology is the secret ingredient to great display by adjusting color and contrast for enhanced images, movie playback, and gaming. 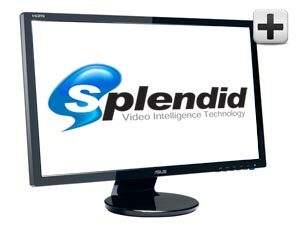 The SPLENDID Video also has five preset modes that let you quickly select you preferred setting in a simple push of a button. The ASUS VE228H display also features built-in stereo speakers for crisp digital audio playback. An entire showcase of colors are brought to life with SPLENDID Video Intelligence Technology that adjusts colors and contrast in 8 one-touch presets. 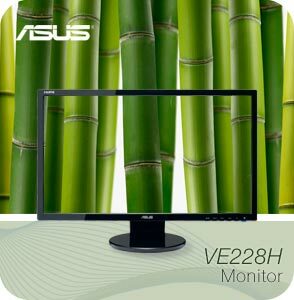 The ASUS VE228H display is built from the ground up to be energy efficient. 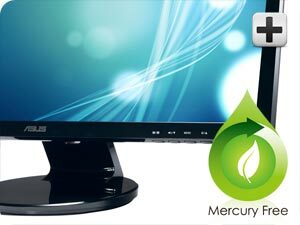 Earning Energy Star, RoHS, and EPEAT Gold certifications, this monitor not only saves you power but is also environmentally-safe at end of life. ASUS is the world leader in motherboards and graphics cards, and is one of the fastest growing of the top 5 notebook brands. The ASUS product portfolio includes monitors, notebooks, Eee PCs, motherboards, graphics cards, and much more. 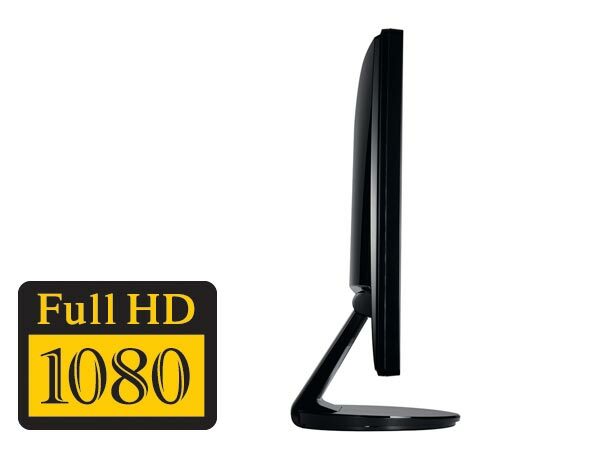 In 2009, ASUS products won 3,268 distinguished awards thanks to the innovative user-centric technologies such as Splendid Video Intelligence technology—included in every LCD monitor and notebook. Please visit Support.ASUS.com for more details. © 2010 ASUS Computer International. All Rights Reserved. ASUS is a registered trademark of ASUSTeK Computer. All specifications are subject to change without notice. Color and bundled software versions are subject to change without notice. Brand and product names mentioned are trademarks of their respective companies. P roduct may not be exactly as shown in photos.